Our dealership is located in the beautiful foothills of Northern California. We have sold RV's to customers all over the world. 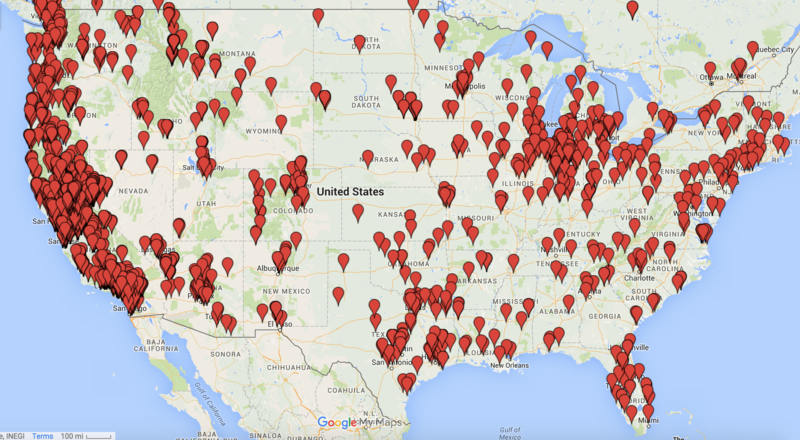 This map shows where many of our US customers have come from to buy their RV from DeMartini RV Sales.